I love having parties and gatherings celebrating special moments and it’s so fun when activities can be fun take-aways along with thematic party favors. Last summer I threw my mother a 65th birthday party. I wanted it to feel intimate and draw on themes that felt special to her so, of course, I looked to her likes and interests for inspiration. She loves tea, she’s an artist, a little quirky (in a good way) and her birthday usually falls right before Labor Day–the last official weekend of summer. I had the start of something good, I thought…now I just had to pull these pieces together and create a memorable event for my mom and our guests. TO SURPRISE OR NOT TO SURPRISE? THAT WAS THE (FIRST) QUESTION. She’s IMPOSSIBLE to surprise, it’s like some sixth sense left over had from when I was a teenager and wanted to stay out past curfew and once she starts sniffing around and asking too many questions before you know it the whole thing is blown. However, for this landmark birthday I wanted an element of the unexpected that would be immune to her sensor so I picked the guest list. I knew a short but meaningful guest list that had surprise friends from long ago blended with her more recent buddies would be a delight for her, this way so she could talk to everyone and let her pals from today and yesteryear get to know each other. Tea, tea , tea everywhere… But what spot to pick? I live in New York City so I indulged the fantasy: The Plaza, and the impossible: caterer at my house. And then I remembered the perfect spot I used to frequent and even had a party for my daughter once before: Alice’s Tea Cup on the Upper West Side. 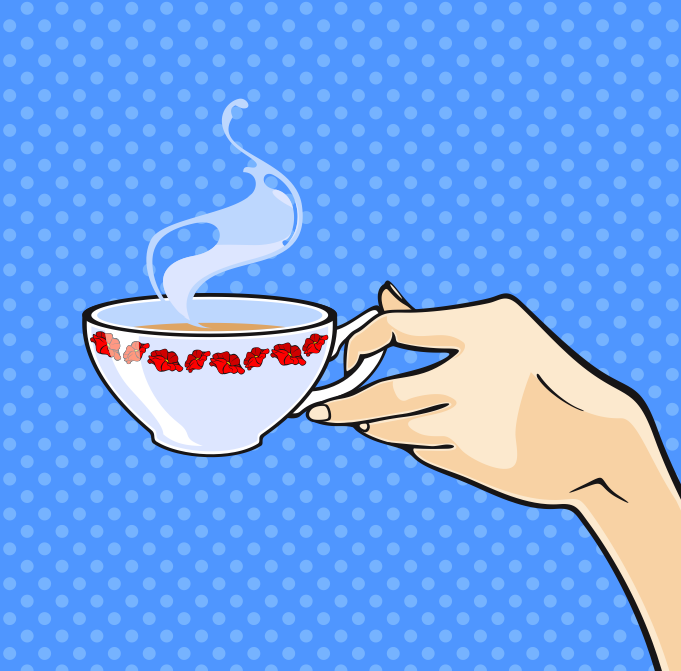 Alice’s Tea Cup was so perfect because they had a tea leaf reader–just like a tarot card reader only they read your tea leaves–so each guest had a personal reading throughout the party. Quirk and tea concept was fully covered! The big question was how to get the theme of “art” into the event without having a kids finger-painting party feel and also be something guests not artistically inclined could also enjoy. Henna! 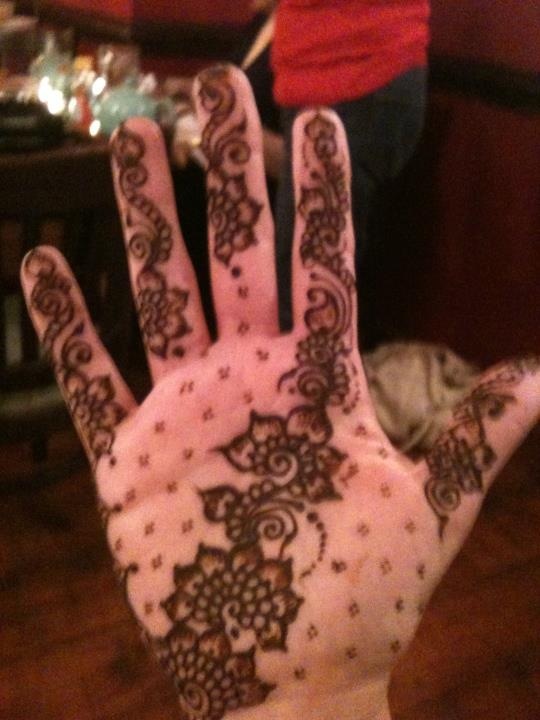 I found a fabulous henna artist online, Sandy at Henna Studio, and not only was she incredible, watching her work was entertaining…almost hypnotic. Plus, the guests got to enjoy this beautiful memento from the party for another 7-10 days. Because the party was planned right before Labor Day, I had gift bags that were beach bags ($11.50 a dozen). I also ordered fans ($16.50 per dozen) and votives ($12.50 per dozen) that had the date and my mom’s name on them. This sounds like it might have been expensive… but it was not. Oriental Trading is a fantastic resource for these kinds of things, you just need to search a bit. There I also found sand dollars, starfish and shells to scatter on the tables to keep the beach-y theme going and the guests got to “collect” them in their bags before they left. 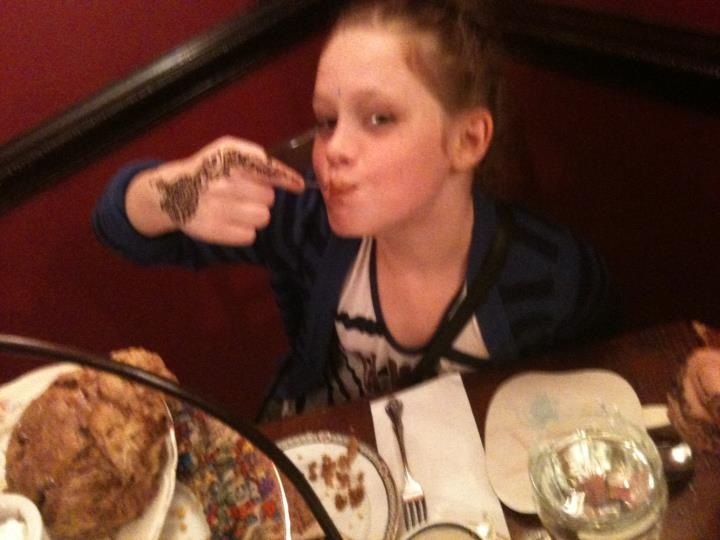 Below is a picture of my daughter enjoying some scones with clotted cream while her hennaed hand dries. The party was a smashing success! 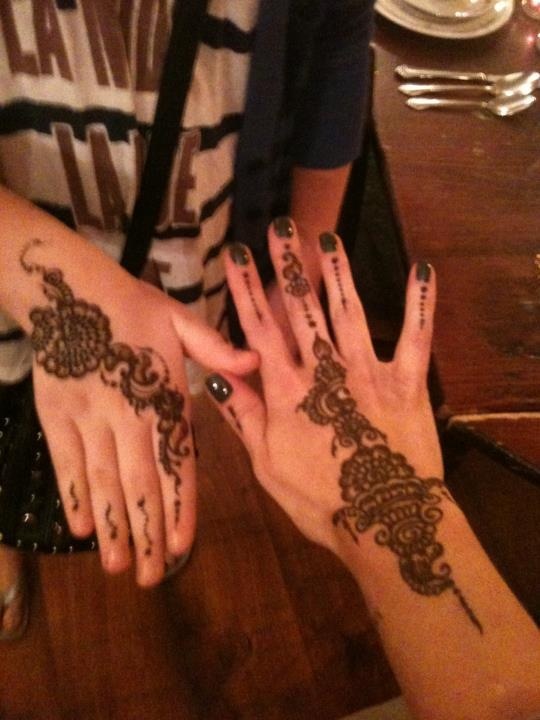 Everyone had a great time, the birthday girl schmoozed with everyone and every guest got hennaed multiple times. I’ve hosted plenty of parties, but this was one I was particularly happy with and can’t wait to do again.